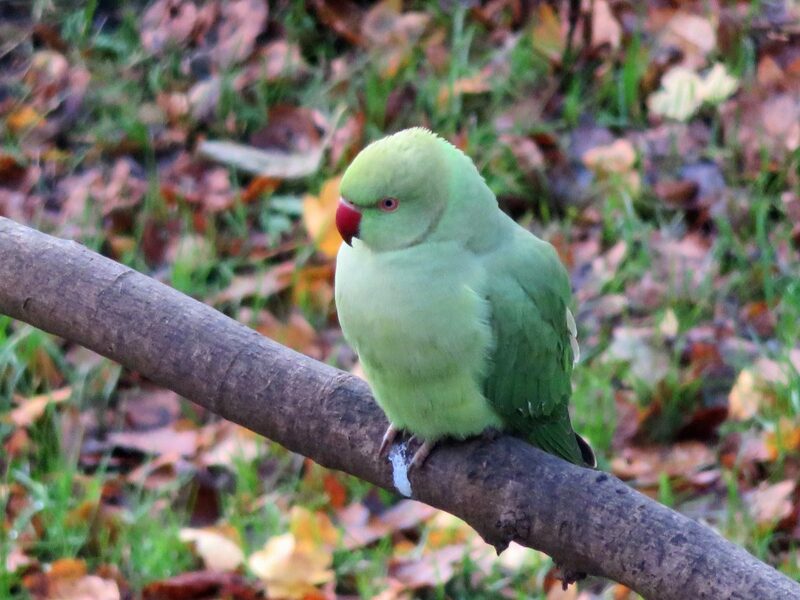 You won’t see the distinctive rings around the necks of all parakeets. Only the adult male has the black ring and rose-coloured collar around his neck. It’s considered impossible to distinguish immature males and females from each other. 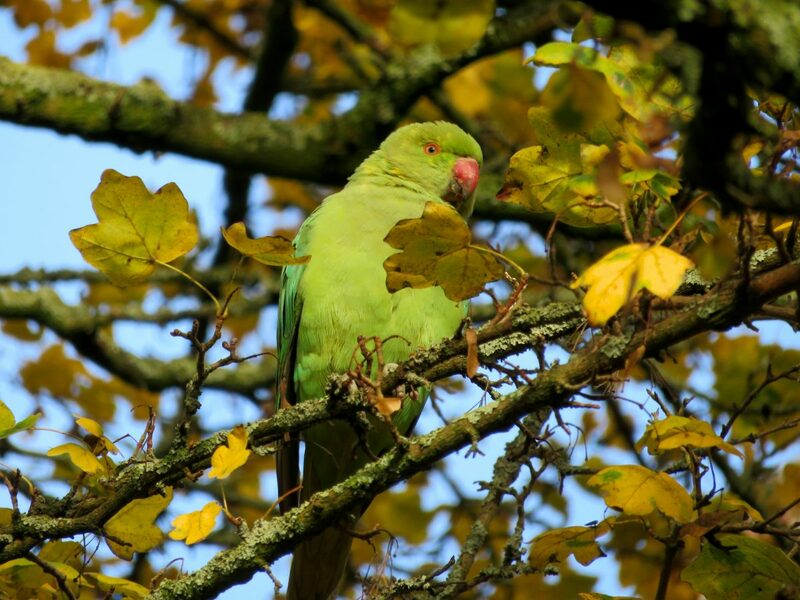 Rose-ringed parakeets can get very old, reaching an age of up to 30 years! They have a very large, almost cosmopolitan, distribution. They are endemic to Central Africa and southern Asia, but they’ve also been introduced to many countries throughout Europe and North America. 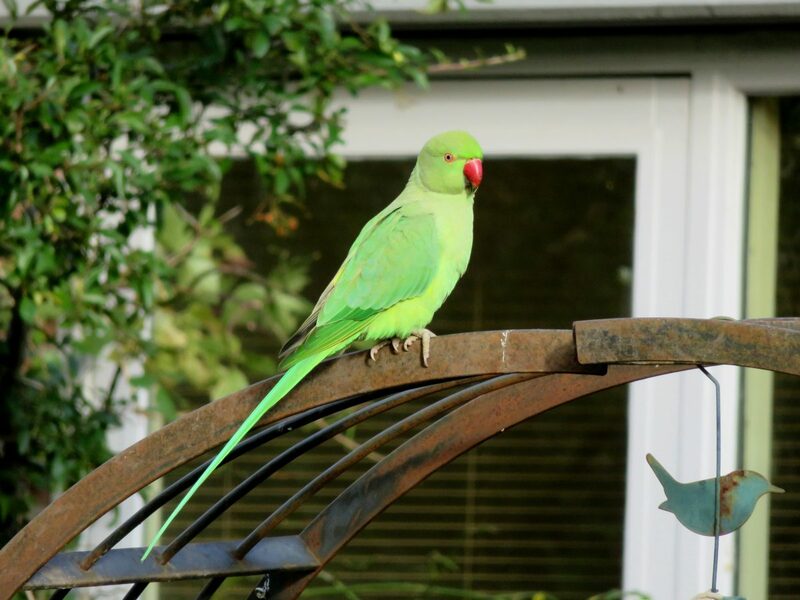 Here in the Netherlands, the Rose-ringed parakeets are considered pests. They have even been named as one of the worst alien species as they can out-compete native birds. 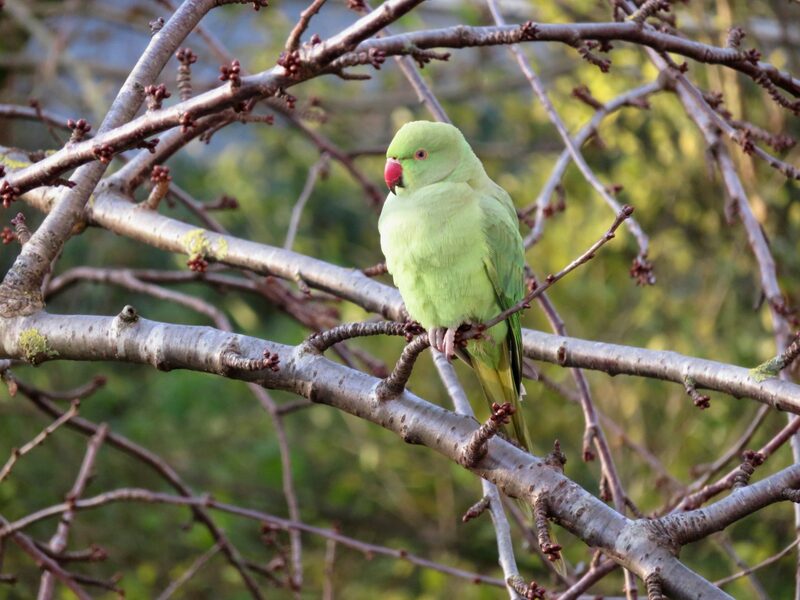 But I must admit, it’s rather difficult for me to see these beautiful birds as pests. 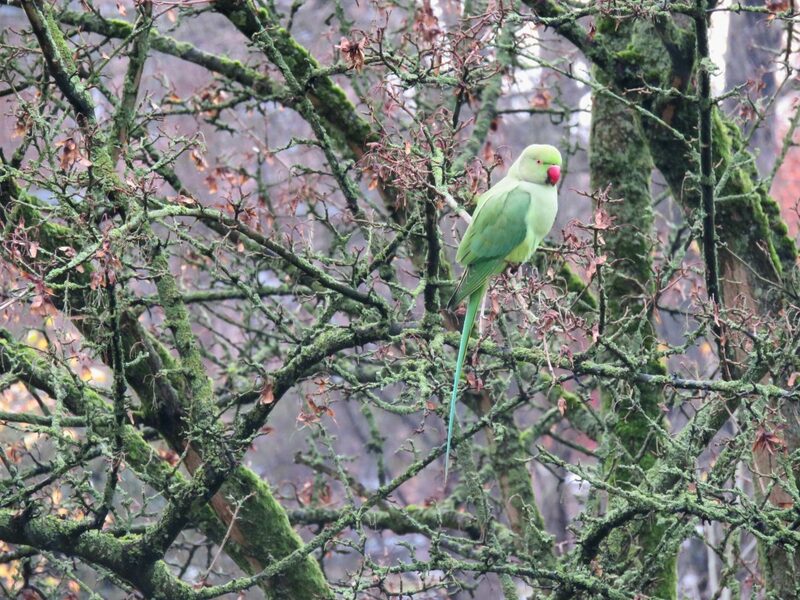 It’s not only in the Netherlands that Rose-ringed parakeets are considered pests. 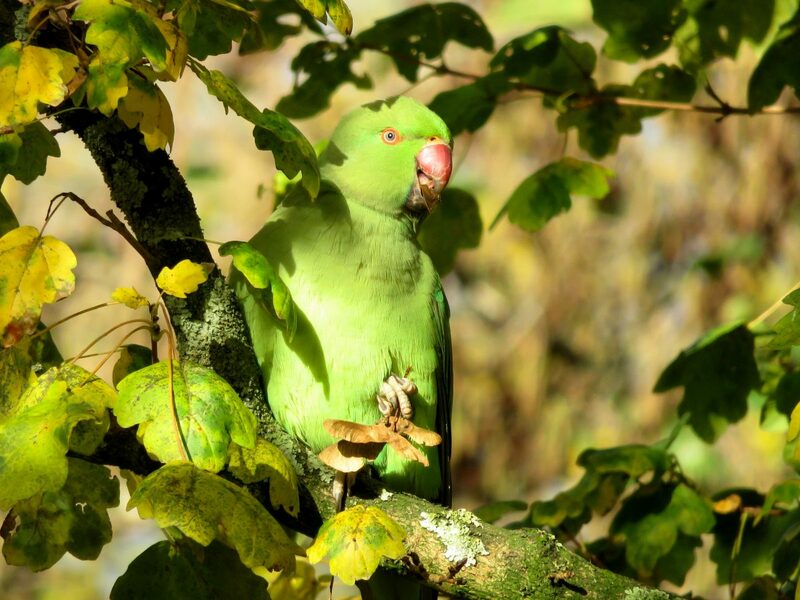 They are one of the most successful invasive bird species worldwide. 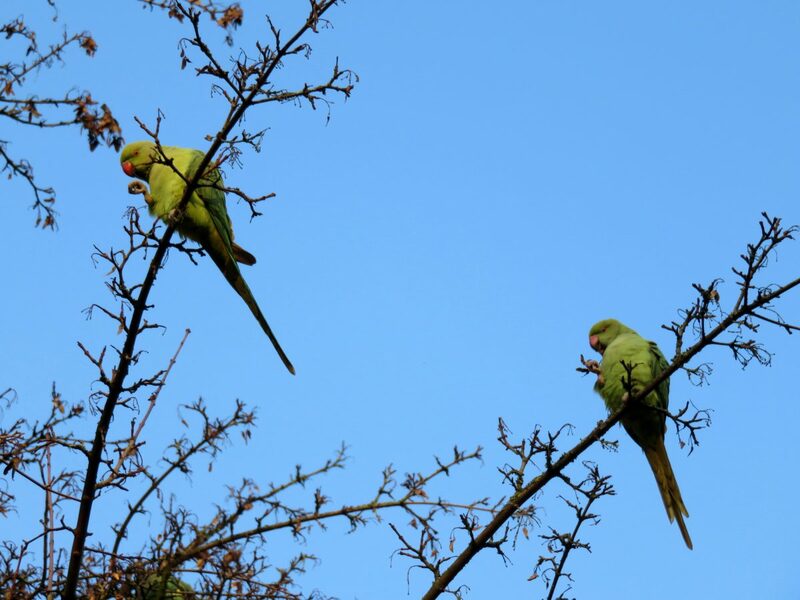 Both male and female parakeets have the incredible ability to mimic human speech and home noises. They listen to their surroundings and then mimic what they hear. They can learn a lot of words (a vocabulary of up to 250 words), which is one of the factors that make them popular pets. 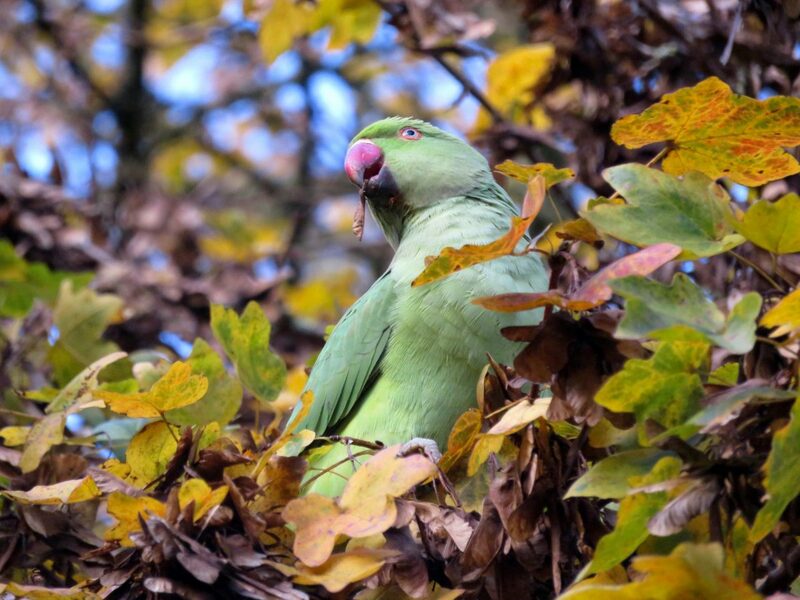 In India, royal families used to keep Rose-ringed parakeets as pets because of their ability to speak. These birds were seen as status symbols. They have the cutest courtship ritual! During breeding season, the female has been observed to roll her eyes as she twitters, moves her head in circular motions and flaps her wings. At the same time, the male shows off by strutting his stuff. Then their beaks touch and the male feeds the female while standing on one leg. Bizarre but sweet behaviour! What! The Steller’s Jay isn’t really blue?